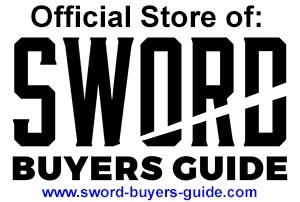 Designed to be a "cut above the rest" in terms of blade fit and finish, the unique fittings and tough, expertly forged blades - this line of swords is perfect for the sword connoisseur who demands the best money can buy. 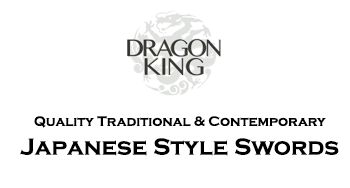 Designed by master sword designer Frenchie Jin in Dailan this line has been years in the making. Differentially Hardened 65mn (Manganese) Steel Blade with Prominent, Real Hamon. Differentially Hardened 65mn Steel Blade with Real Hamon. Basic Polish and Fittings, most economical model in the series. A massive sword with 37 3/4" blade. Shipping to the USA (including Hawaii and Alaska) via FedEx or USPS (depending on location) is FREE! 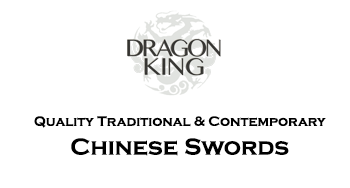 (sorry, we are currently unable to ship our range of Dragon King swords internationally).